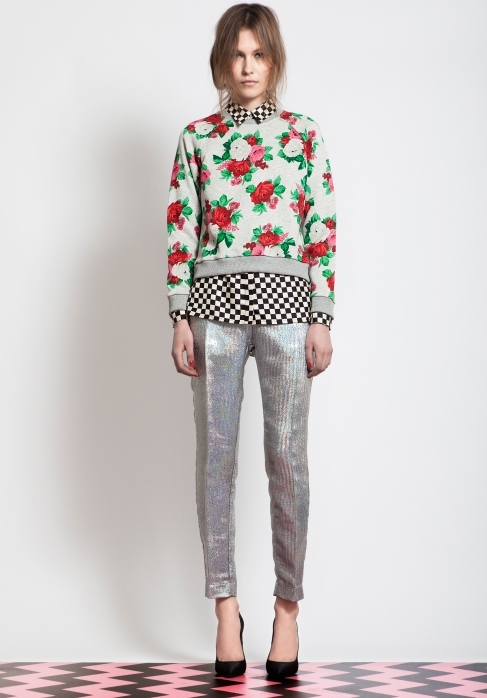 Floral prints and abstract graphics. Lace, cotton, silk and tweet. Straight or bell-shaped. Glitter sunglasses. Patchwork leather gloves. Satin pointed pumps. Flat matelassées maxipochettes. Belts with flower buckle. Stampe floreali e grafismi astratti. Pizzo, cotone, seta e tweed. Forme dritte o a campana. Occhiali da sole glitter. Guanti patchwork di pelle. Décolletées a punta di raso. Maxipochettes piatte matelassées. Cinture con maxifibbia a fiore. love the mix of prints and textures! I am swooning over this eclectic collection, there are so many pieces i would love to own, love the exciting prints and chic tailoring. I love so much you're blog, dear. I follow u.
queste stampe floreali mi piacciono molto. bella questa collezione!! 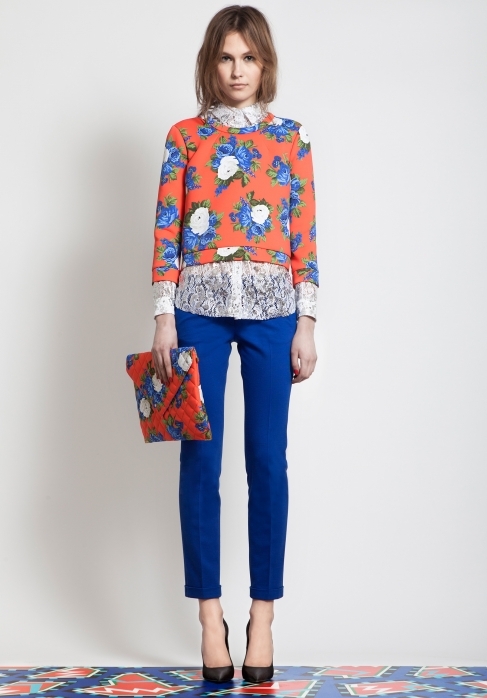 Love the mix of prints and that blue electric is everywhere!Great post dear. The second dress is awesome. wow amazing styling. these looks are all so clean cut but definitely have a fun side! haven't seen this collection before so thanks for sharing! I love this collection so much!! the last skirt is perfect!! would you like to follow each other on GFC and bloglovin?? :D have a great weekend!! i'm absolutely in love with this collection, especially the first look featured! i want that clutch! welcome on my fashion blog! What a lovely collection!!! Love them all..
these colors and prints are amazing! in love with the skirt on the last pic. Thanks for your sweet comment.Yes we can follow each other, I'm your 81th follower, return love back? I am now following you too on GFC, facebook and bloglovin:D one big kiss!! I have a new post now! I would loove to know what you think of it!! :D have a great week! Wow soooo much amazing pieces in this collection - loving the all the gorgeous florals! Hi dear, thanks for visiting today. Hope you have a wonderful week ahead! 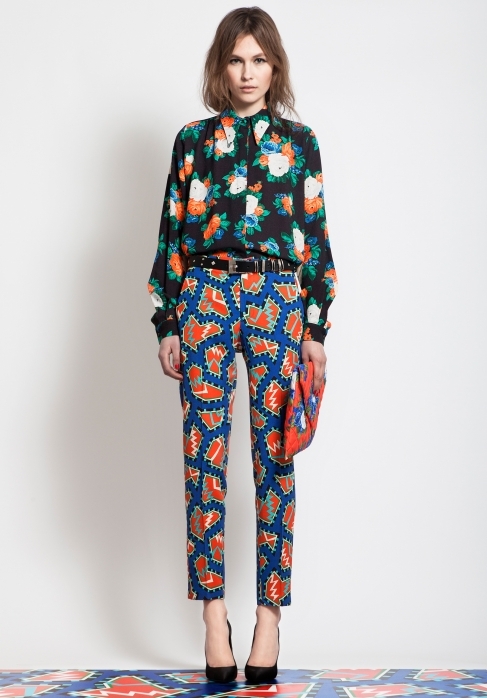 MSGM clothes is adorable! I love their prints so much! 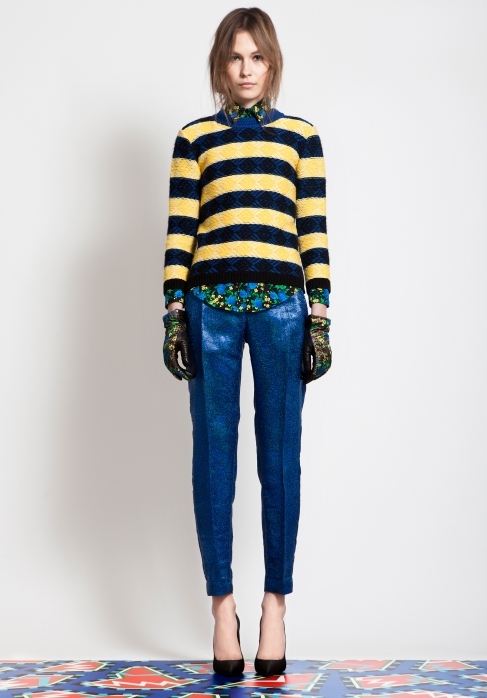 In love with all of the cool, crazy prints and cuts of this collection!